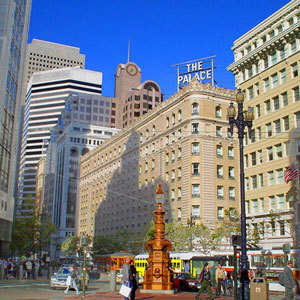 The Palace Hotel property located in San Francisco, California, features hotel bedding made by DOWNLITE. The Palace hotel uses our medium density EnviroLoft down alternative pillow. Some guests have also reported to us that they use our 25/75 feather blend pillows (we have them available under our Eddie Bauer bedding label).